You are currently browsing the category archive for the ‘Curious Things’ category. Curious things around the house #58: teapots. I am sitting on break from the Saturday “There’s work to be done” chores and wondering what to write. I am sipping a cup of tea as is my wont. It dawned on me teapots would make a cheap and quick ‘Curious things around the house’ entry. This King-size-Titanic-unsinkable-Molly-Brown metal pot sits on the kitchen counter. It was purchased in Canada and carried home on the airplane where I worried it would be mistaken for a bomb. It is my most often used pot. It makes a lot of tea, most of which I cool down and store for iced tea purposes. This little fellow is at the opposite end of the Universe of Teapots. It is used for ‘one cuppas” loose leaf tea, usually green. It’s fine for an afternoon tea when I don’t want to be wired. The Lovely Neighbor gave me this she she moved away. It was her late Mother’s teapot. I don’t ever remember her using it. I suspect TLN was trying not to take it with her, so she gave it for my collection. As you can see it isn’t very practical as its top is rawther narrow, making it difficult to insert teabags ( no loose leaf here!) She traveled the world over so I thought I was getting something exotic from India perhaps. It turns out it’s from Pier 1 Imports made in China. I’d throw it out but for the guilt if I did. This fine little pot is Polish-made. It is a gift from Canada. Laurent and Will (the dears!) gave it to me when we visited them in Ottawa. Such fabulous take-home prizes they give out ! This fine specimen is part of my Spo(de) china collection. 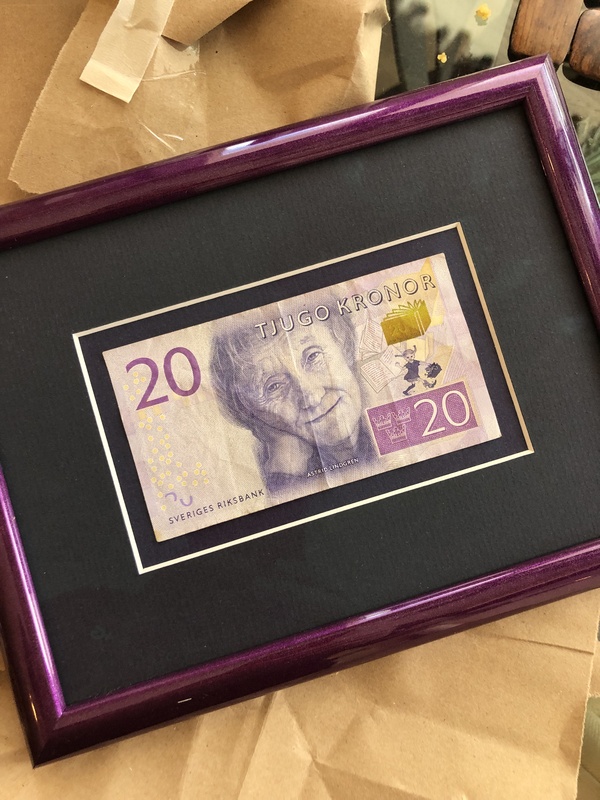 It sits on a shelf, wrapped in bubble plastic, waiting for those gay times when we entertain 8-12 for formal dinners and afterwards tea is served. The pot comes with 8-12 cups and saucers and I can’t remember when last I used any of this. I’d give it all away but no one want this sort of stuff anymore. Tell me about your teapots! How many and which is your favorite? It’s the end of the year and I am doing major tidy-up this weekend. 2019 may be The Year of the Pig in some parts of the world, but The Cosmic Calendar decrees here in The House of Spo it shall be The Year of No Clutter – and it starts now. Here are a few photos that never got to into a blog entry in 2018. 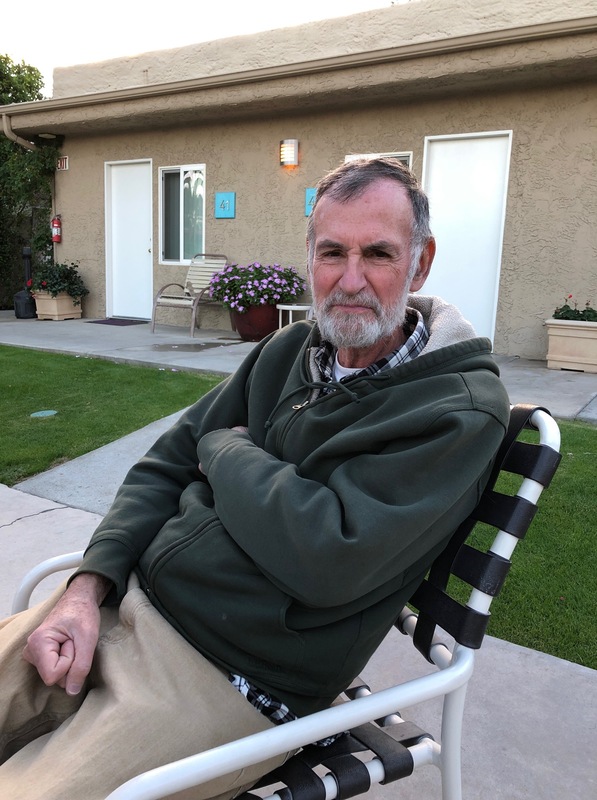 Before tossing them out with some moldy humidifiers I thought to put them into one inane blog post to appease The Contract of Obligation per The Board of Directors Here at Spo-Reflections. Not to be worrying: a proper post is on its way tomorrow. This is the infamous 70$ fruitcake. It was very good; we ate it with relish. There you go Old Lurker! I did not forget! This is Princess-Goddess and Warrior-Queen tripping down the aisle at Nephew-in-law’s wedding. They are NOT well over four feet but probably will be. We have a few humidifiers; none of them are usable. Even if I should find filters for them they look a little sinister what with black spots inside them all. It is probably better to toss’em and replace them all with one shiny mold-less new one – with a large box of filters. Here is the Spo-house Christmas tree hohoho. It looks more or less like every year’s tree. 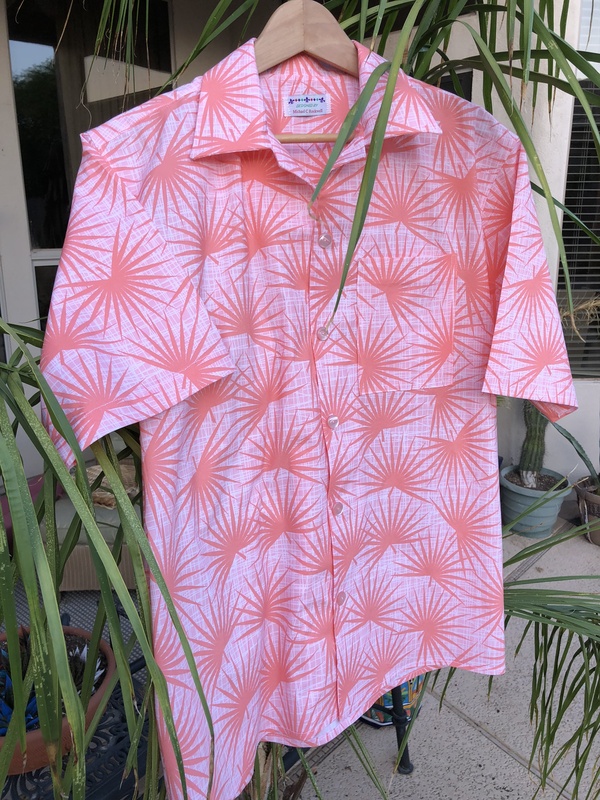 Curious Things around the house #56 – Palm Springs version. Greetings from Palm Springs, Land of Retirees. Urs Truly is here for a weekend of reading, resting, and so forth. 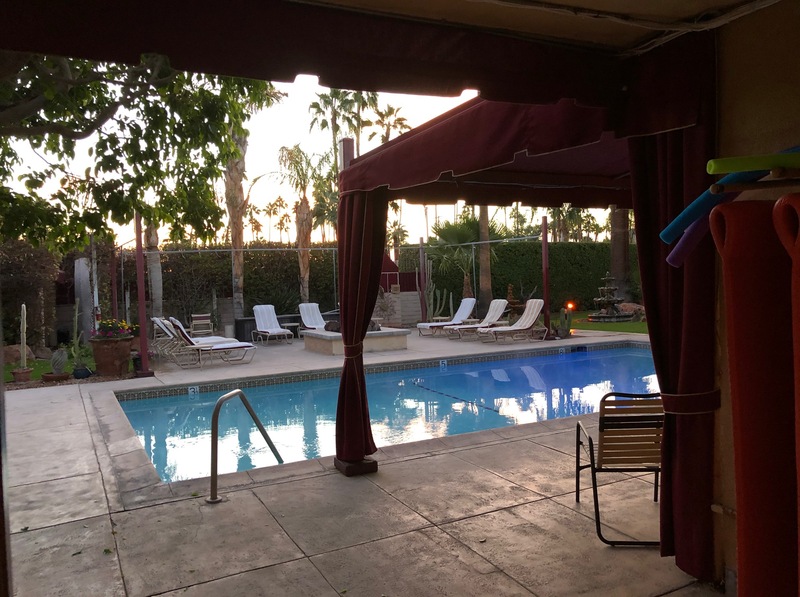 I am staying at Desert Paradise Warm Sands – my first time – for my usual abode Inndulge was booked. This is the view from outside my door. The rooms here are named after divas. They have: July Garland room; Madonna; Lucille Ball; Joan Crawford (rumored to be haunted) etc. 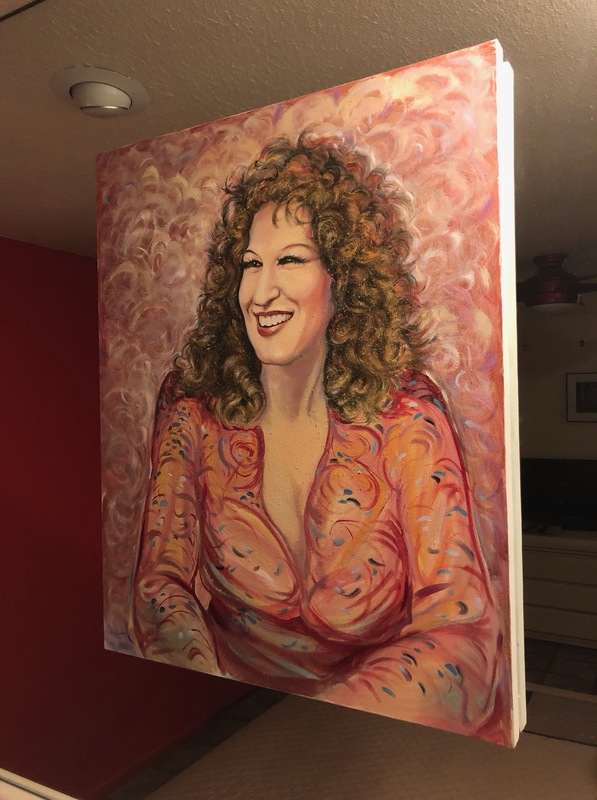 I am in the Bette Midler Suite. Behold the painting over the queen-sized bed. Can you imagine trying to sleep etc. 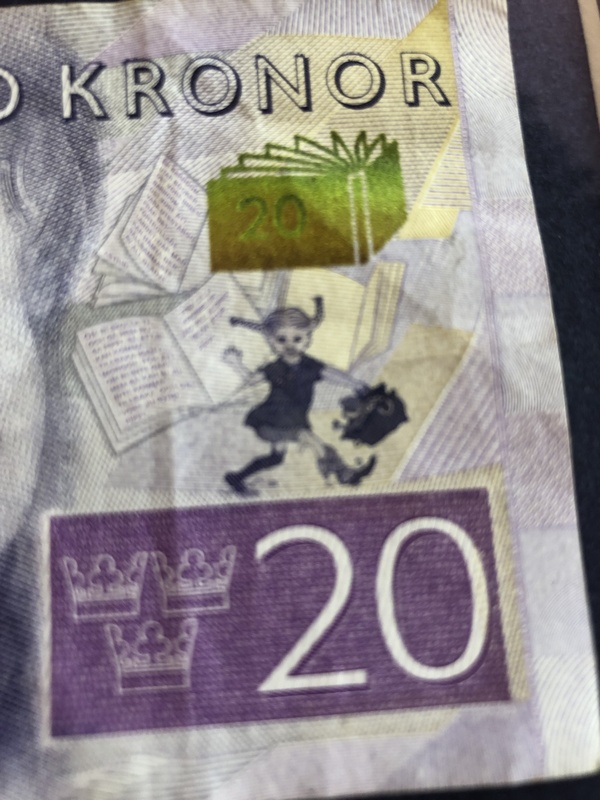 under her? Rumor has it one needs to turn her around lest gentleman callers are distracted. Leon A.K.A The Wild One and DougT are at next door with the “A” listers. They are both well over four feet. L is constantly cold. While the others are walking around sky-clad he’s bundled burrito-style shivering. There is no such thing as a side pasta – boo ! We had dinner last night at a local family Italian restaurant. 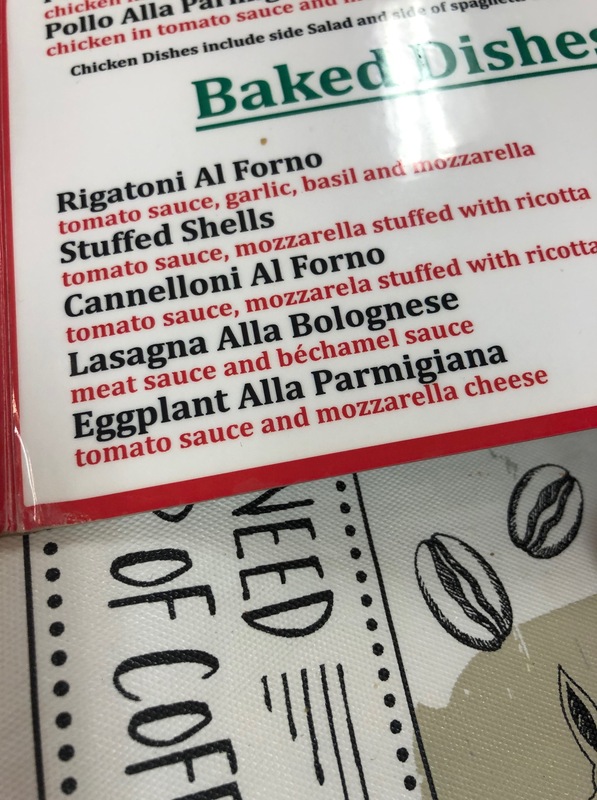 I am always eager for a good eggplant parmesan. It is a hard dish to do properly. Alas, it was soggy – page 71! Oh well. The company and good cheer (and two glasses of chianti) made up for the meal. 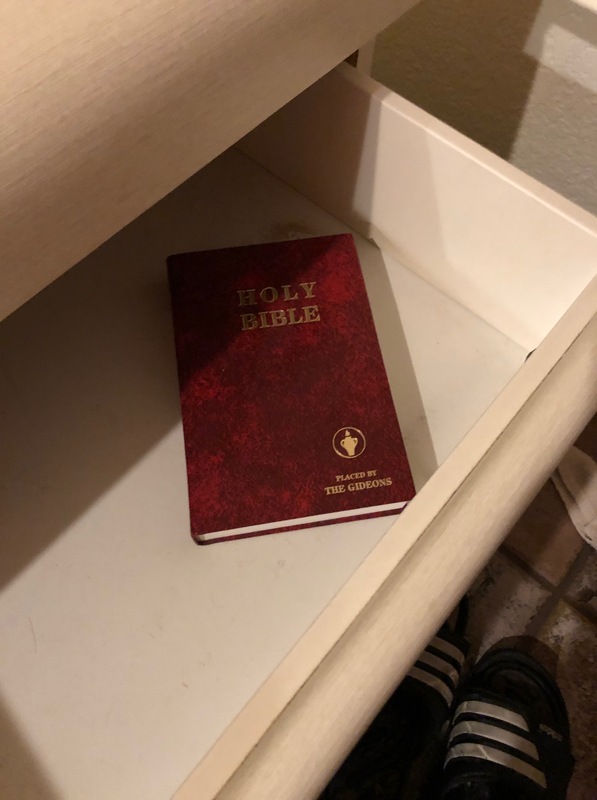 The dears at the resort have The Holy Book in the dresser drawer lest there is a crisis and one needs to quote Job or something. Several scenes in Judges are applicable for some of the shenanigans that go on around here – or so I am told. Urs Truly – party animal that he is – fell asleep around 8PM. I lead a dull life. I have put together a pastiche of sweets for the beggars on All Hallow’s Eve. After careful planning – and thanks to the munificence of certain Canadian Spo-fans (the dears!) – I have just the right types of sweeties. They are a careful collection of hard candies and chews. Some are familiar; some are exotic. They range in size, shape, and color. I hope they stand out as something other than another fun size snickers bar. I am curious to see if my industry is greeted with glee or is looked upon as a disappointment or an object of suspicion. Do children leave Yelp reviews for Halloween stops? The beauty of my plan is if there are leftovers they can be passed on to the candy bowls at the office. Goodness knows what to do with any leftover cauldrons. Save them for next year I suppose. After each cauldrons is packed I tied on a orange or purple ribbon for a foudroyant touch. Suffer Martha ! If you want to call Kerr’s Candy ‘exotic’. Certainly no local child has ever had one. I have the intuition the younger kids may turn up their noses at such a strange and exotic candy. I hope I am not casting pearls before swine with this one. Happily I have a full sack of them leftover for my selfish self. I can’t quite determine their flavor; they don’t taste like anything I’ve ever had. Spo-fans familiar with this item are encouraged to write in and tell me what they are. Someone is rather fond of these; I daresay none will make it to 31 October. Curious things around the house #54: Urspo art (the early years). A little while ago certain Spo-fans showed interest in my artwork. When I was in junior high school/high school I fancied becoming an artist or a graphic illustrator for Walt Disney. I took some art courses; I think I became decent. Back in the early 70s when I was learning how to paint, Mother got my first attempts framed. They have been hanging in their house ever since. Every time I visit home I am perturbed by all the mistakes in them. Over the decades it seems I see more and more of them. Mind! Most artists are embarrassed by their early works. I have to remind myself I was maybe 15 years old at the time and it was my first time at painting . This is my first attempt at a still life. I gathered up a pastiche of nautical knick-knacks and gave it a try. Some of the items I still have. What bugs me: the strong shadows and the lack of true perspective. This is a freighter I painted for my father who is a ‘boat nerd’. The boat is real – I forget what boat I used as a model. I put his name on it; he is pleased as punch. I was very pleased with how the freight turned out. I had a photo to go from to this made things easy. What bugs me: the waves are far tempestuous. The boat looks like it is plodding through a hurricane; this makes the clouds wrong for that sort of wind. I wanted to capture a foggy day at seaside. I remember enjoying painting the sea gulls. What bugs me: The still gray of the mist looks not so calm as depressing. I think it would have been better if the gray was more homogenous. This one was a study at trying to paint a sunset. The lighthouse was an exercise in shadow and lighting. What bugs me: The lighthouse shadow is wrong! This is so obvious to me now it pains me to look at it. Given its angle, the sun must sinking less than a mile away. Oh the embarrassment! This is another one I painted for Father. As far as I can tell he has never noticed this glaring error of angle. Either that or he is too discreet to tell me. Regardless he loves it so. Oh well. The important points to remember are these four paintings were early attempts and I learned as I went along. If they make my parents happy then that’s the point. It supports the age-old axiom there is no accounting for taste. Now the little icebox is as obsolete as a temp agent; we wondered what to do with it. Taking it back to Lowe’s and pretending it was faulty would be a lie. 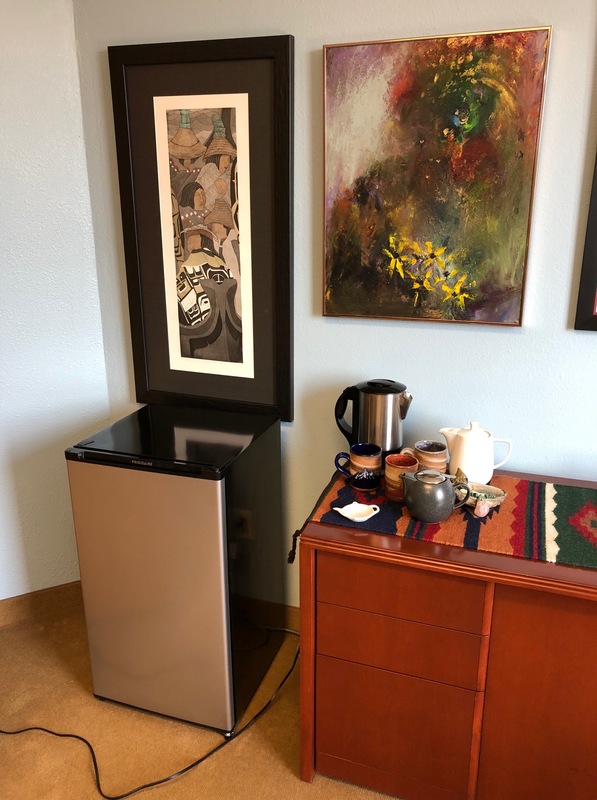 I thought of using it as a sort-of liquor cabinet, given the high temps of AZ are not good for booze, but we already have a wine fridge, so that ain’t good. Today we brought it to my office, where it now proudly stands next to the tea things as shown below. It makes the room feel a bit like a college dorm. There is a perfectly good fridge just down the hall in the community kitchen, so I feel a bit silly to have such. I am not certain what to put into it. I suppose I can stock The Frigidaire with beverages and fruit snacks. ** The Personal Trainer wants me to ‘eat something before working out’ so this may be the means to oblige him. 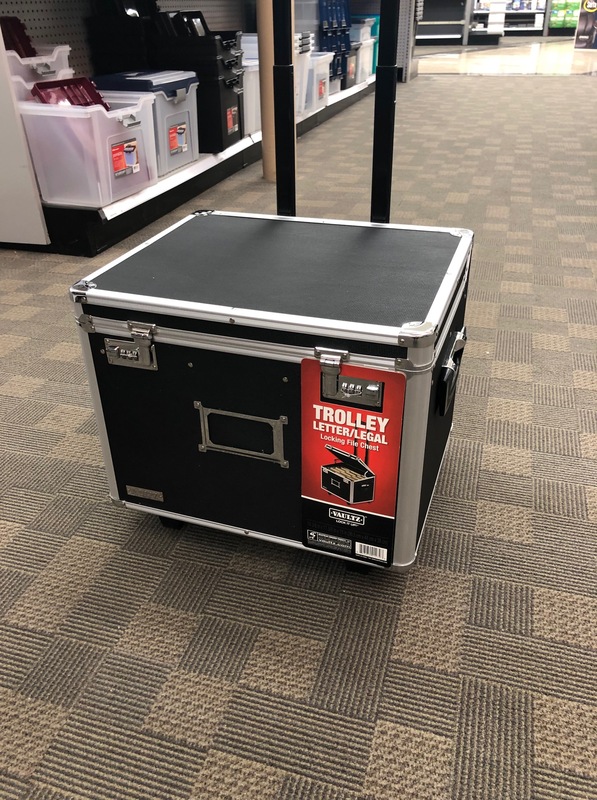 Perhaps I can fill it full with tiny bottles of water so when patients are thirsty I can give them something to quench their thirst. After all, I went to a medical school where the panacea of all ills was to push fluids. It would be jolly good fun to keep a jar of Luxardo cherries with a bottle of vermouth (no rubbish) for impromptu Manhattans after those more difficult appointments, but I think not. Imagine the looks of the bosses and the APA Secret Police should they discover such was on the premises! I will stick with protein drinks and Vernors and Evian (my favorite) and leave the Buffalo Trace at home. * It is not clear which god/goddess in the Greek Pantheon is in charge of refrigerators perhaps because they didn’t have such things in their day. The Norse Pantheon may fair better; one of the nine realms must have someone in charge of keeping things cool, although one could argue the entire realm is one frozen icebox in no need of refrigeration. **I had a colleague in Seattle who kept bottles of wine in his office fridge. I never asked what he did with them. First of all, I want to thank everybody for birthday greetings from yesterday. I am continually grateful at the outpouring of warm wishes and salutations I receive. It’s been hot; the temperatures have regularly been 40-45C*. The AC is going allergo no troppo yet it isn’t enough to keep the house cool. I don’t want to go out or do anything. Someone is due home from work soon and he will probably just sleep in front of the TV all afternoon. I may just take his lead and estivate, falling asleep under a few books. Anything to avoid going out of doors. The house is relatively clean and the laundry is done so there isn’t much ‘work to be done’ tasks. What there is feels too hot to bother with. 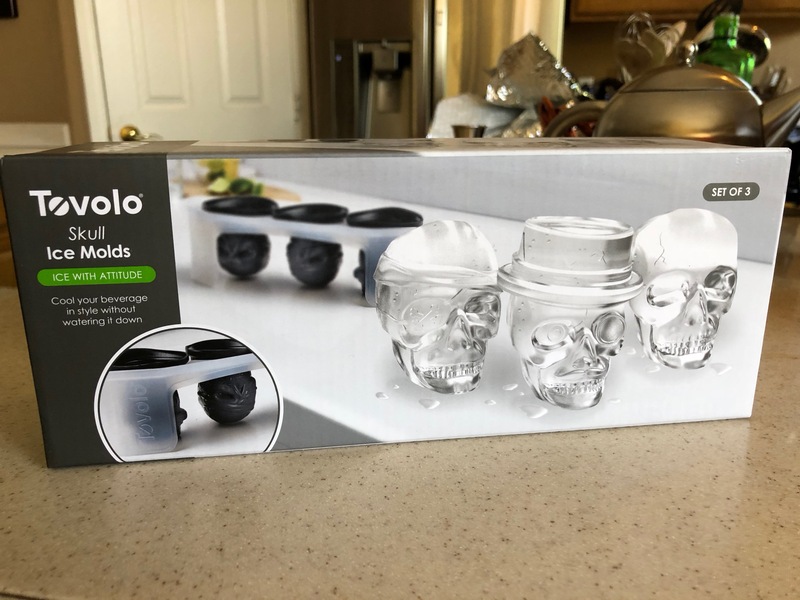 Someone gave me a rawther unusual birthday prize of ice molds shaped as skulls. These are splendid not only for everyday sipping but for Halloween cocktails. There is a bit of grim humor is there not to serve guests a shot of whisky in which is bopping a skull- cube. ** Due to last week’s dripping under the kitchen sink, the reverse osmosis machine is off. As as consequence we have no filtered drinking water. I don’t mind drinking tap water but I miss ice. The ice machine gets its water from the osmosis machine. I suspect I will be making a lot of skull-cubes this week until we get the osmosis repair man or somebody like him. Someone also gave me some splendid stainless steel cocktail picks so perhaps I can solve the water crisis and use skulls and picks in frequent libations. Better make that a double. *In Fahrenheit this is just too damn hot. 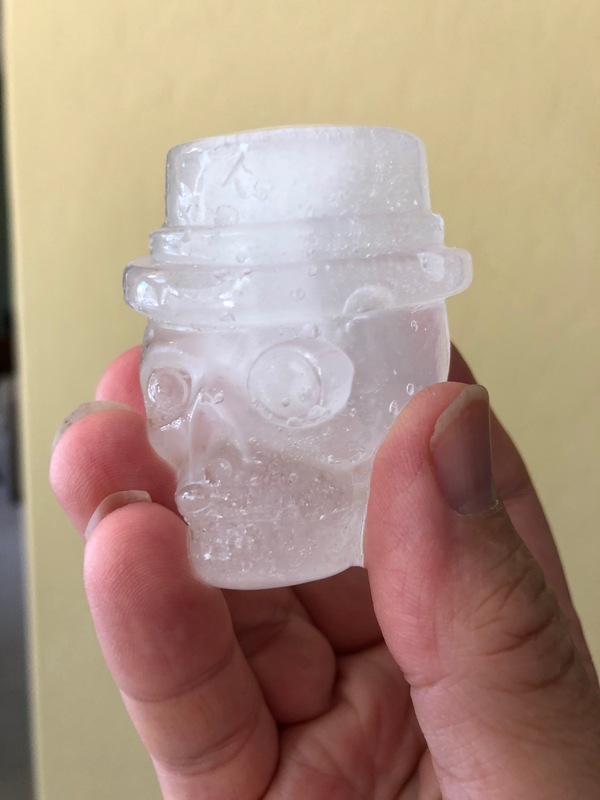 **Someone said he almost got me the ‘tiki gods’ ice mold instead, but he thought I would like the skulls more. He is correct. In my life I’ve had many tea pots. Some are useful and some are less utilitarian as they are whimsy. The one in the photo is my ‘work pot”. I keep it at the office; it is used nearly every day. I remember where I bought it. It was in my “Ann Arbor days” circa 2000-2005. I go through a lot of tea pots for they either wear off or break. I remember thinking at the time of the purchase this nondescript beige pot will be good for a few years at most. 13-18 years later the intrepid pot takes a licking and keeps on ticking. I sure got my money’s worth. It has fine cracks in it. “It’s had the course” as Father says about old and worn-out objects. I keep waiting for it to fall apart in my hands or shatter when I next pour hot water into it. * I’ve been anticipating its demise for years; ‘Old beige’ seems to show no signs of shattering despite its cracks. 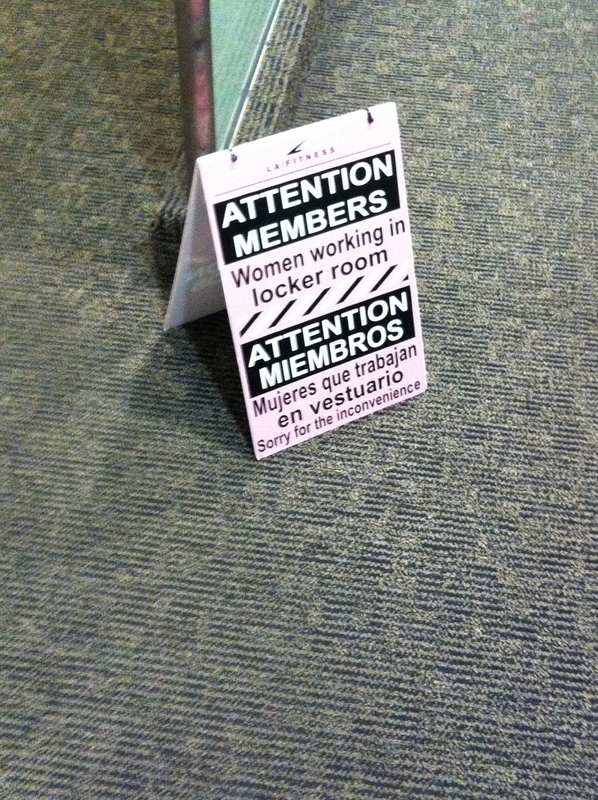 Perhaps they are merely ‘age wrinkles”. There is a part of me that wishes it would hurry up and expire so I can justify getting a new one. I suppose I could throw it out now but my Protestant roots forbid me discard anything still functional. Old beige perseveres. It keeps putting out my daily brewskis of Irish breakfast, green, and 2nd growth Darjeeling (no rubbish). There is nothing deep or erudite about it. It’s old and cracked but a good one. *I tend to stand back a bit every time I pour the kettle water into it, lest I am suddenly covered in hot scalding water, bringing new meaning to the expression “please join me in a nice hot cup of tea”.